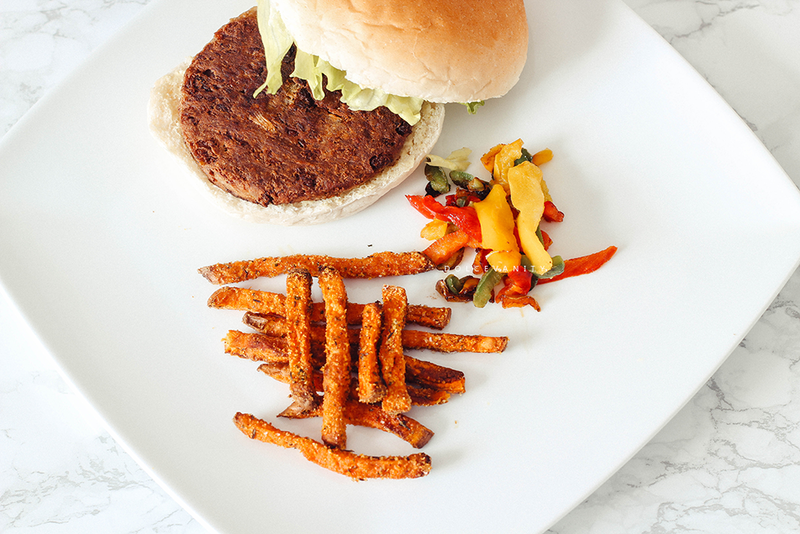 Meat Free For 7 Days With Fry's. When I was asked to try Fry's Food (that originates from South Africa!) for 7 meat free dinners, I jumped at the chance. I'm more of a 2% pescetarian (no meat but fish) but that's becoming a thing of the past as I rarely eat fish. What I do find is a lot of replacement meals contain eggs for protein, making them vegetarian friendly but not vegan. 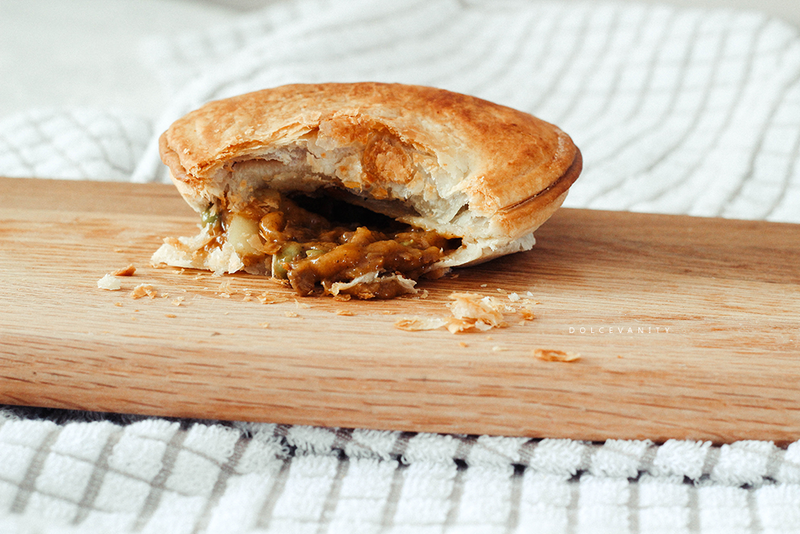 Brands have moved towards having vegetarian & vegan options but ever so slowly. 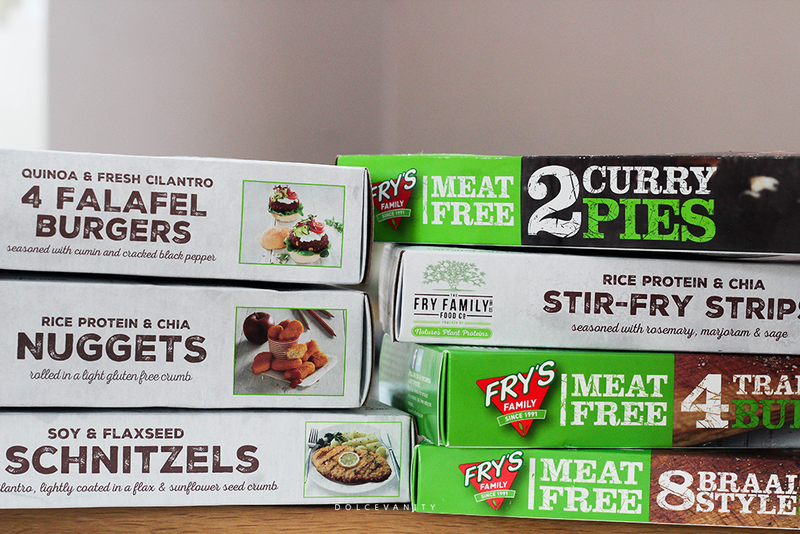 Fry's have a good range selected foods can be gluten free, dairy free, vegetarian & vegan. I was sent Braai Sausages, Rice Protein & Chia Nuggets, Quinoa & Cilantro Falafel Burgers, Protein & Chia Stir Fry Strips, Soy & Flaxseed Schnitzels, Traditional Burgers & Curry Pie. The puff pastry on this was flaky but crisp it tasted bakery fresh. The filling in this particular pie was overflowing and for me that's what it lacked, to be able to cut into it and an overflow of gravy and filling. It has a peppery aftertaste amongst the spice the curry aroma reminded me of a traditional chip shop, pie & chips. It wasn't my favourite! Ingredients : Pastry(57%): wheat flour, vegetable oil(palm), salt). Filling(43.7%): Vegetable protein (soya), onions, potatoes, peas, modified starch, sunflower oil, spices, flavourings, salt, tomatoes, ginger, garlic. *pause* As I remember how ab-so-lu-te-ly frigging gorgeous this sausage was. I've tried other brands and this one hands down - wins. There's 8 in a packet and dinner become lunch and dinner again because I couldn't get enough of these sausages. 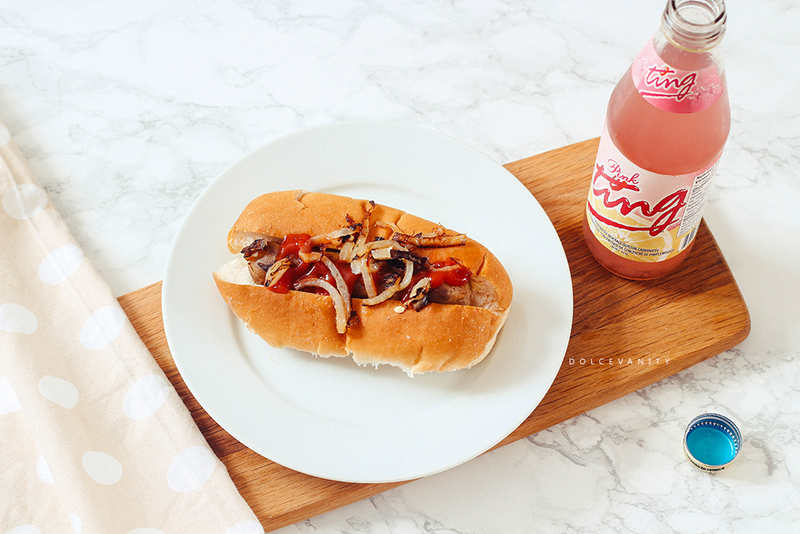 One sausage is 66 calories, if you're counting. At first I was unsure how I was going to cook these, what was I going to do...Fry's say this can be used in wraps, in salads or in any dish to replace chicken. Wrap it was. Another thing surprisingly good, I seasoned these and fried them until they was crispy on the outside, the inside was soft. I could imagine this in a stir-fry or chow-mein of sorts as welcomed & necessary addition. It was marinated in a salsa sauce...I'd love to find a good sticky sauce to pour over these. Ingredients : Water,soyprotein, sunflower oil, wheat protein (gluten), potato starch, rice protein (2%), wheat flour, maize starch, chia seeds (0.5%), yeast extract, emulsifier (methyl cellulose), sea salt, garlic, marjoram (>1%), sage (>1%), mustard seeds, turmeric, black pepper, ginger. *and another pause* Just taking a moment to remember until my next order arrives...with a very similar taste to the sausages, I tried these before the sausages and of course wasn't sure what to expect - I gave a few bites to meat eaters who were in absolute shock at how good these tasted and that it wasn't meat - ah see meat free can be delicious & moreish. I like falafels, especially spicy ones. Although this isn't a good one the mixture of the Quinoa with the falafel burger is almost undetectable for me. This was one of the first things I tried and didn't mind. Ingredients : Water, chick peas (33%), onions, sunflower oil, sweetcorn, garlic, Quinoa (1%), cumin (1%), ground coriander, fresh cilantro (0.6%), sea salt, bicarbonate of soda, mint, black pepper (0.5%), parsley. 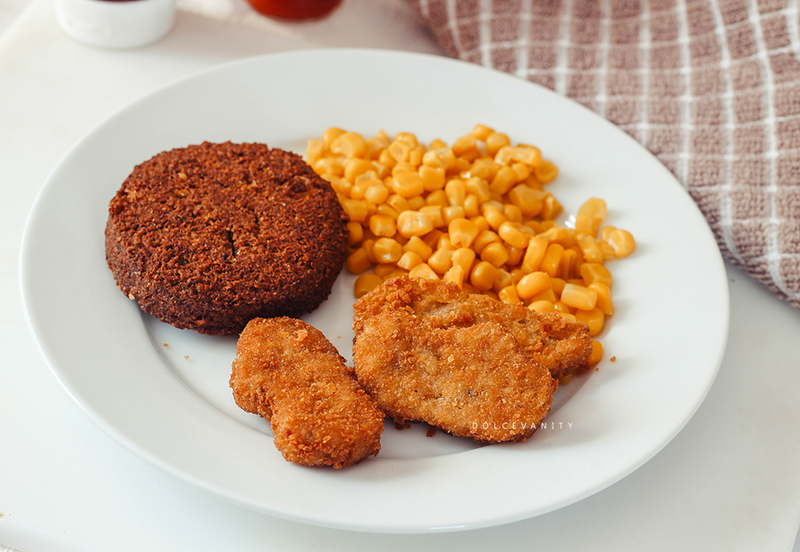 I haven't had nugget in years so the memory is fairly non existent but I'd say the filling and outer crumbs say enough and taste moreish, this would be amazing for children who have a different diet and don't want to feel left out, there a good side addition to a meal and bite sized. My first experience with a Schnitzel and another positive, it was delicious inside and filling with seeds on top the taste combination was nice and it was different to have but I enjoyed the crumbs with the inside which reminded me of the nuggets slightly above. Ingredients : Water, soy protein (27%), sunflower oil, wheat protein gluten, wheat flour, potato starch, maize starch, flavours, flaxseed oil (1%), emulsifier (methl cellulose), fresh cilantro (1.3%), flaxseeds (1.3%), onion, sea salt, sunflower seeds (0.5%), yeast extract, coriander, mustard, sulphites. Overall views, I couldn't be more pleased with the Fry's range. It's introduced me to other food choices, different versions of sausages and burgers and converted me to the brand. 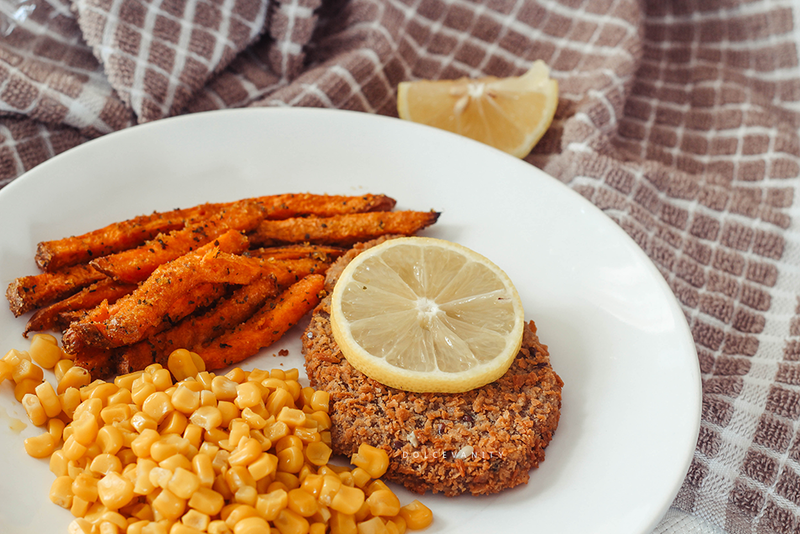 It's pretty easy to remove fish from the diet with alternatives to eat, I felt satisfied and full, it doesn't make me feel bloated or energy draining which is a positive and it gave me other things to try in the kitchen. I wished they had more in-store stockists or stockiest that have a full range. I don't live in a cosmopolitan area so things appear more scarce to get which leads to online shopping - not a bad thing but it would be nice to be able to go out and pick up whenever I felt but for now it's not to be and I've made an online order at Goodness Direct who have a huge range of Fry's and my new order just come along yesterday! Really great photos! These actually look really great. I'm going to have to check them out. Oh hello yummy! 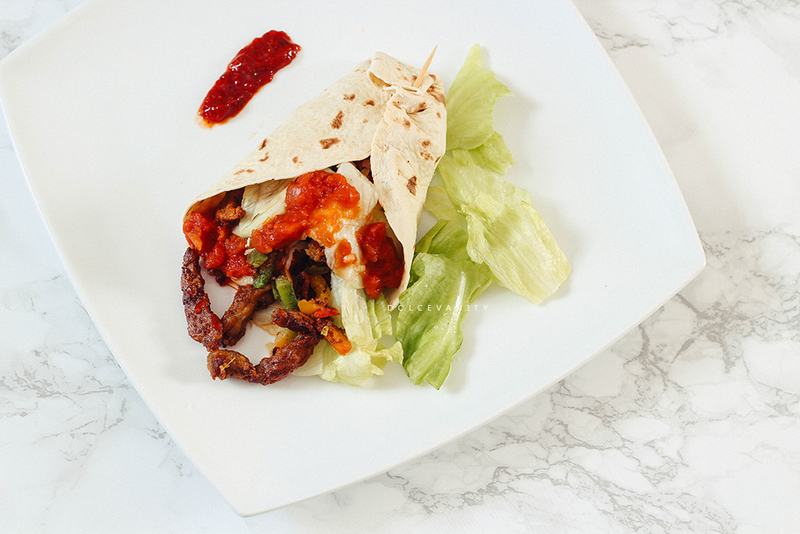 I am trying more and more to have meat-free days and this selection makes it easy and tastier to go that way for sure. Plus your pictures literally have me drooling!!! I love how there are so many more options for vegetarians now! These all look delicious! I very rarely eat meat myself, but it's nice to know there are so many amazing replacements available.